Fiona Curran has worked in design for 23 years. She is now Creative Partner of Distil Studio, a clear-thinking agency on a mission to filter out unnecessary fluff from branding, packaging and visual communication. She likes to keep things diverse. From Mercedes F1 to Smoked Salmon brands, handmade chocolate packaging to film memorabilia identities, ideas run through everything Fiona creates. A former Design Director of Williams Murray Hamm, her creative challenges have been incredibly varied. She has designed everything from Royal Mail stamps, limited edition bottles for Absolut, ‘Recipease’ for Jamie Oliver, sound-activated beer fonts for Heineken and peephole packaging for Coco de Mer. 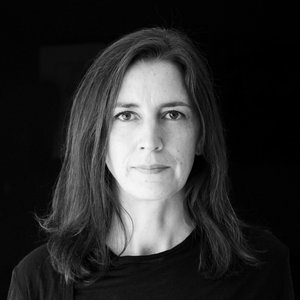 Fiona has won many design awards including D&AD, New York Festivals, Clio and Cannes Lions. She is currently proud owner of both a yellow and graphite pencil from D&AD’s 2016 packaging category.